Dr Bùi Trinh, an economic expert, talks to Nông Thôn ngày nay (Countryside Today) newspaper about the need to tell taxpayers how their money is used. What do you think about the Ministry of Finance’s proposal to levy the environmental tax on oil and gas at the peak level? Việt Nam’s GDP is a bit higher than other countries in the region. In 2017, a driving force for the country to gain a high GDP growth rate came from the processing and manufacturing industry (14.5 per cent) while the country’s GDP was 6.8 per cent. Also in 2017, the country’s export growth hit 21 per cent. If we eliminated the cost factor, our export growth rate would be about 19 per cent. These two factors were closely associated to each other as in our country, the processing industry and basic engineering mainly performed expectations and then exported goods, particularly FDI projects. From another perspective, research done in the I/O (input/output model) shows greenhouse gas emissions in Việt Nam remain very high – reaching alarming levels, particularly in the two industries which are the country’s spearhead industries – the processing industry and manufacturing and goods exports. In such a context, recently the Ministry of Finance came up with a proposal to increase the environmental protection tax on petrol/diesel from VNĐ3,000 to VNĐ4,000 (US$0.13 – $0.17) per litre. This proposal has been subject to strong criticism from the public. In my opinion, this criticism is food for thought for the Ministry of Finance (MoF). Will the increase in the tax will hurt consumers and the people in general? 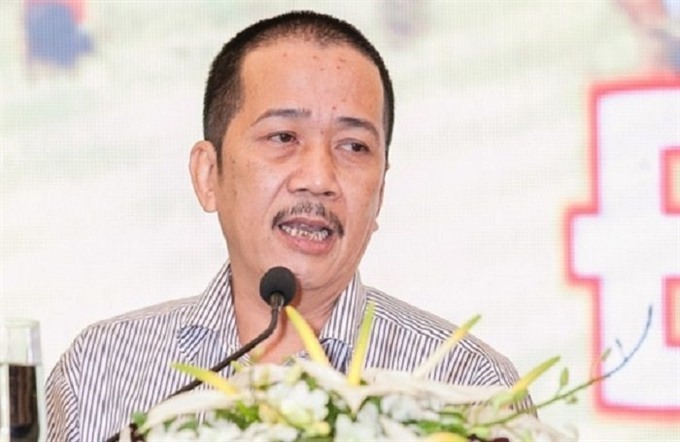 According to the MoF, the decision to increase the environmental protection tax on petrol is to compensate for the shortage of State funds when all import taxes were lowered in accordance to bilateral and multilateral free trade agreements which Việt Nam signed. In reality, a key purpose of the increase in the environmental tax, either direct or indirect, is to compensate for lost revenue when the country becomes members of international free trade agreements. On the other hand, our State coffers have diminished due to mismatches between revenue and spending. It is projected that in the first quarter of 2018, Việt Nam’s regular spending was about VNĐ255 trillion ($11.2 billion) – almost about 88 per cent of the State budget’s total spending while payment for the principle debt accounts for about 8 per cent of the spending. Many people have supported the idea that Việt Nam will enjoy more benefits when it signs free trade agreements. But, in reality, our production is mainly based on outsourcing work. In a nutshell, what we are doing now is exporting for other countries. According to a study on a balance sheet of I/O and statistics from the Ministry of Natural Resources and Environment, the industry that generates most greenhouse gases Gas is the processing and manufacturing industry. The amount this sector produces is three fold more than the average of the national economy. It is followed by the construction sector (2.4 times) and the agriculture, forestry and fisheries (2.1 times). Notably, the export sector ranks first in generating the most greenhouse gases – accounting for 50 per cent of the country’s total emissions. According to a report, the FDI sector is accountable for 73 per cent of greenhouse emissions. This is something for the MoF to consider before making the decision to levy a VNĐ4,000 per litre tax on petroleum. How do you envisage the negative impacts of the increase of the petroleum environmental tax on the economy and people’s living conditions? Petrol is essential for society. It is the input for all production industries in the economy. In other words, the petroleum environmental tax will impact all Vietnamese, including enterprises. No doubt, the increase in the tax will become a factor to increase the production price index and increase production costs. Of course, it will impact the consumer price index. Simply put, it will affect consumers. This is something for the MoF to consider before increasing the environmental tax on petrol. Do you have any ideas that will help to reduce the burden for the State budget? We need to harmonise interests between the people, the State and the enterprises. As tax payers, the people want to know how their money is spent and for what purpose.